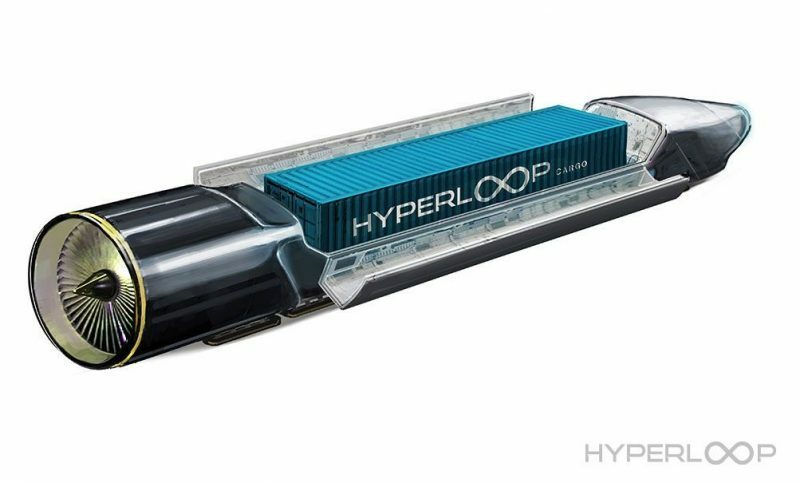 Arctic Hyperloop: The End of Shipping? ‘Hyperloop is the definitive 21st century transportation solution, not only for the Baltic region, but for all of Europe.’ – Mårten Fröjdö, CEO of FS-Links,1 the consortium developing Hyperloop proposals in the region. The traversal of the Arctic tundra and boreal forests is notoriously difficult. Its notoriety is documented so well that successful expeditions across it are often even celebrated. However, travelling across the unforgiving nature of the Arctic Biome is not reserved solely for courageous explorers and scientists; it has long created difficulties for those nations, local communities and people who call it ‘home’, and who look to make a living from the land. It is also for this reason that several Arctic Council Member States are at the forefront of developing new and revolutionary Hyperloop technology to improve their own economic potential by cutting travel distances and negating the limits of their geography, all while reducing carbon emissions from transport. Most interesting of all is that this technology would also be cheaper and faster at transporting goods than conventional shipping, with the very real potential, in less than two decades, to outcompete the container-based shipping industry. 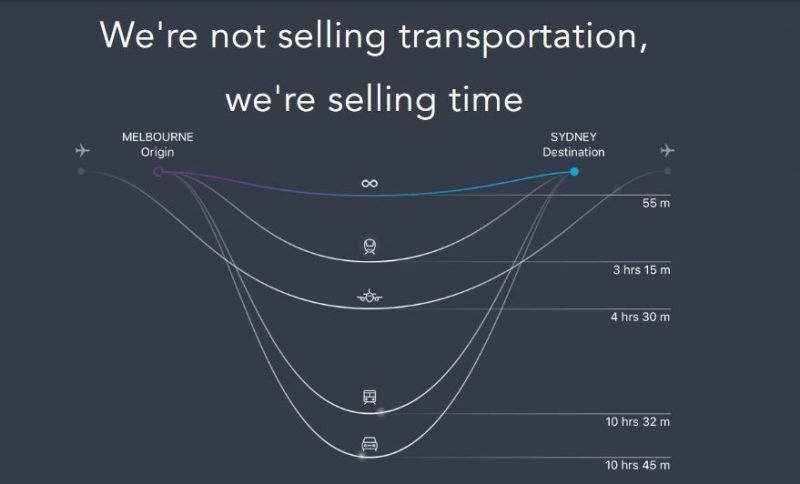 Hyperloop is currently being marketed as the ‘fifth form’ of transportation – faster than all other forms of transport including high speed rail and, at the correct distance, more practical than a supersonic jet. However, the realities of this technology have not yet been realised. There are already plans to build a full-scale test as soon as December 2017.5 To increase investor confidence in achieving this milestone, the company has also released images of their Nevada test track under construction. Which Arctic countries are implementing or exploring Hyperloop? Significant progress towards Hyperloop has been made in the Baltic region between Sweden and Finland. 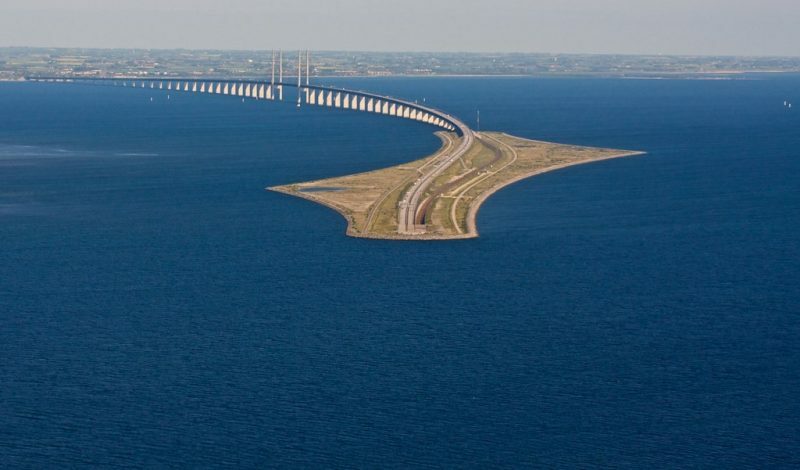 After the success of the Oresund combined road and rail bridge between Copenhagen (Denmark) and Malmo (Norway), the other Nordic countries have been keen to replicate the same success. This new Hyperloop partnership should produce similar or greater returns for Sweden and Finland. The feasibility study conducted by KPMG & FS-Links suggests this will be likely. 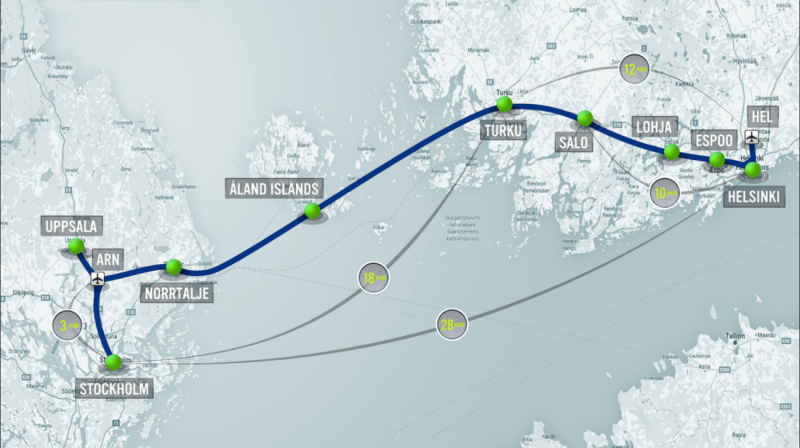 This kind of optimism and positivity has driven the city of Salo, Finland, to sign an agreement with Hyperloop One and FS-Links to begin developing the first stage of the circuit, a 50-kilometre route west connecting Salo to the coastal city of Turku. The benefit of this incremental approach is that it allows for the domestic sections in Sweden and Finland to be constructed separately and for each successive extension to generate revenue before the construction of the more costly connections. 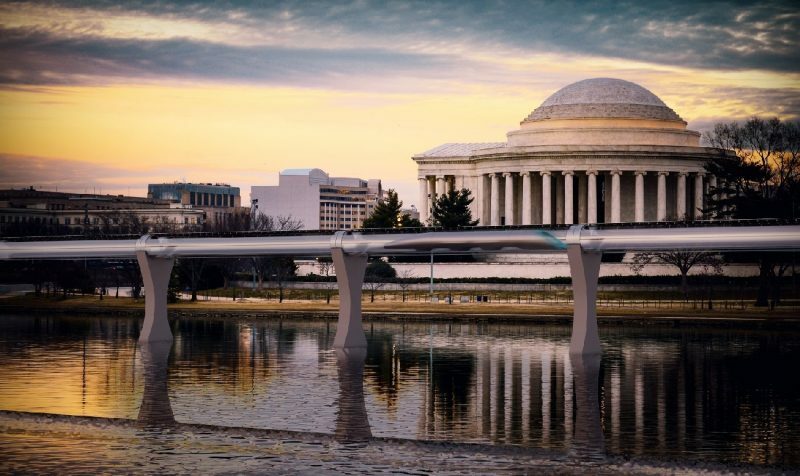 The Canadian Government has not officially expressed any interest in the Hyperloop technology or its utilisation (at the time of writing). 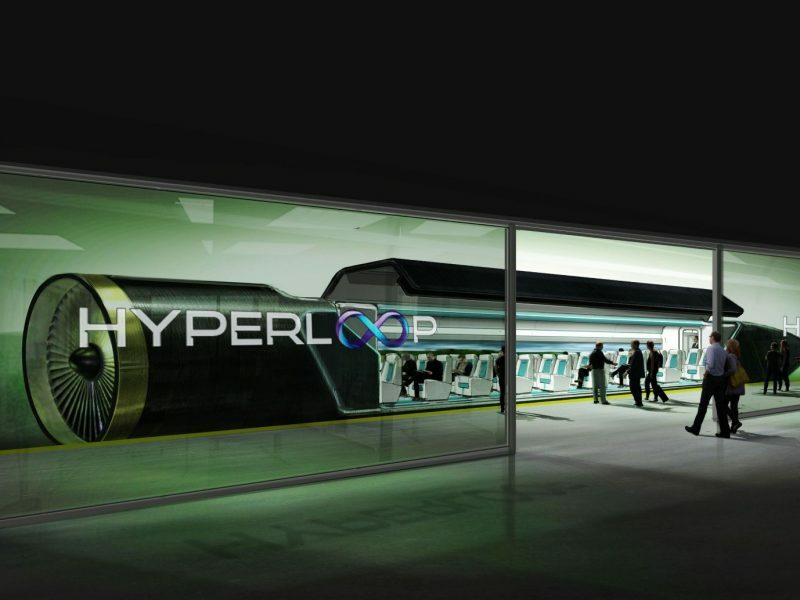 However, that hasn’t prevented the Canadian Hyperloop Company, Transpod, from making the case. 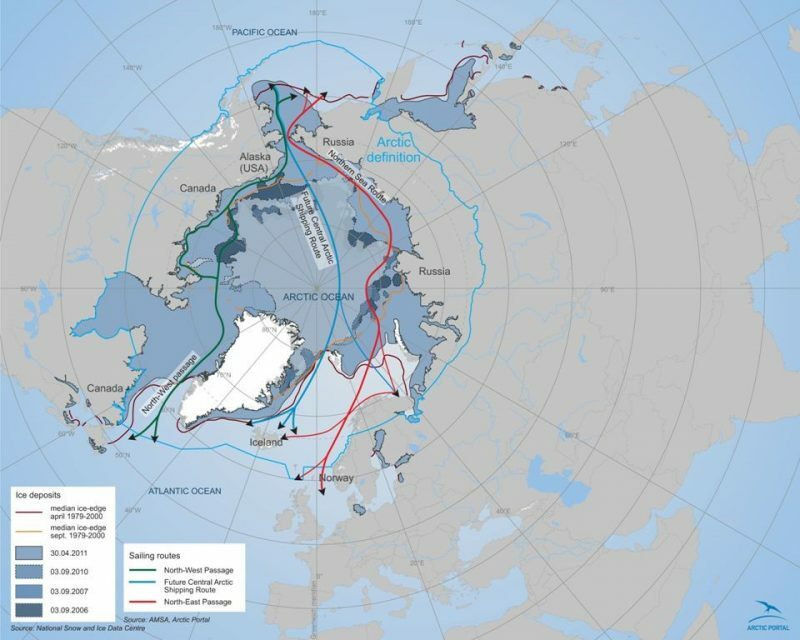 Currently, the only connection that Canada has to the Arctic is via infrequent planes travelling to specially designed airports such as Iqaluit. Transpod CEO, Sebastian Gendron believes his company can remedy this. 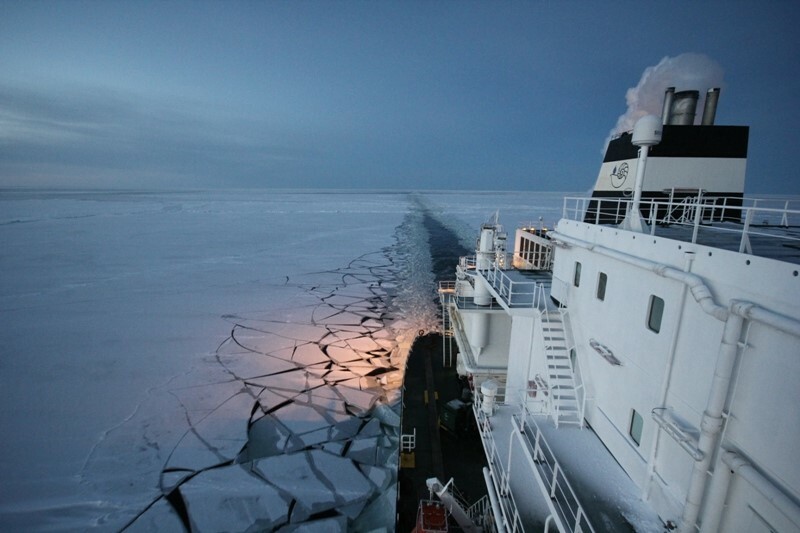 The transport of freight, and later passengers, to and from the Arctic region would create a raft of much needed opportunities for the region, such as tourism or distribution. Such a circuit would also be a boon for the region ecologically and economically as can be seen in the benefits conferred by the recent Sweden and Denmark Oresund Bridge. 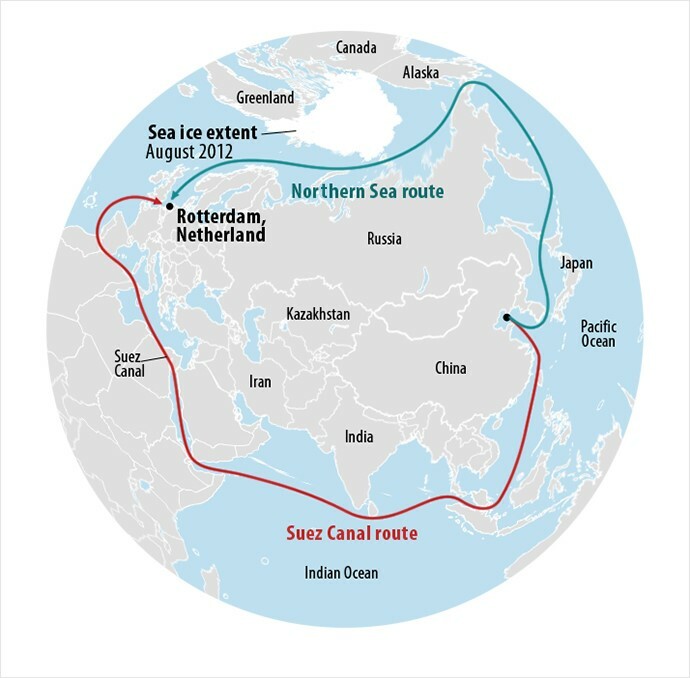 Currently, shipping companies – particularly oil shipping companies, are preparing for the moment when enough Arctic ice has melted to allow for new, more direct shipping routes via a new Transpolar Sea Route connecting the East (China) to the West (Europe). Estimators report that it will be at least 10 years until the primacy of the Suez Canal is challenged by a new Northern Sea Route, and when established, this route will approximately be only 40% faster than the Suez Canal9. 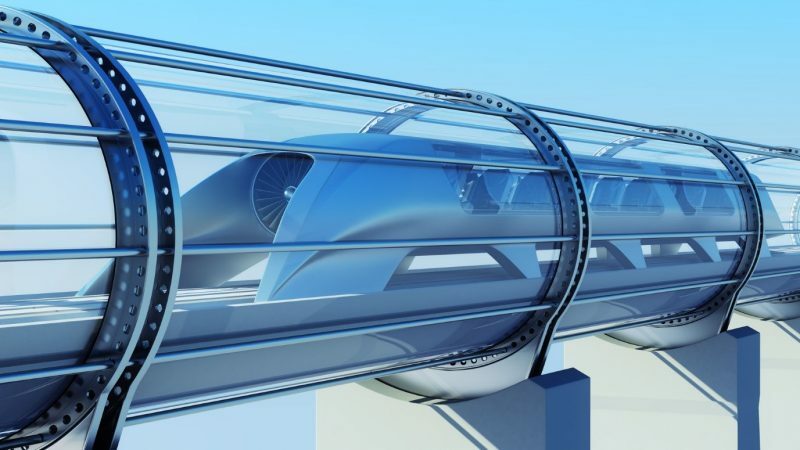 However, if a Hyperloop partnership agreement could be created between the Arctic powers to create a Hyperloop circuit, an ever greater time and resource-saving route could feasibly become a reality in as little as 5-7 years, with dramatically less carbon emissions and an improved impact on climate change. Crucially, it would also dramatically reduce the likelihood of environmental damage through pollution and oil spills in the Arctic, which would be disastrous for the region. The group is composed of Representatives of the Transport Ministry, the Federal Customs Service of Russia, the Ministry for Far East Development and the Russian Railways. This working group will appraise and develop proposals pertaining to the implementation of the technology as well as the legal framework to support it. Hyperloop is attractive to Russia for many reasons. Alongside the other wider economic benefits, a Hyperloop system would also make the country less vast, more connected and far more manageable. A transportation system which is impervious to weather and can traverse large swathes of Russian terrain expediently is of obvious benefit to the nation with the world’s largest territory. If the first link between Moscow and St. Petersburg is successful, it may lay the ground work for lines to its Siberian and Far Eastern cities, as well as establishing another branch of the 21st Century ‘silk road’ already being championed by China, by proving a world-class distribution route from Asia to Europe and through Russia, which has palpable economic, political and poetic benefit. Current Russian railway infrastructure is considered too inefficient for the movement of large freight, and in certain conditions, can only operate at extremely low speeds. The existing infrastructure is in need of significant improvement, and Hyperloop is another way of reviving this legendary trade route, unlocking incredible economic potential for Russia. As promising as initial feasibilities suggest, the road to implementation is not certain. Alongside the challenges of realising this technology is one other major obstacle – Legislation. 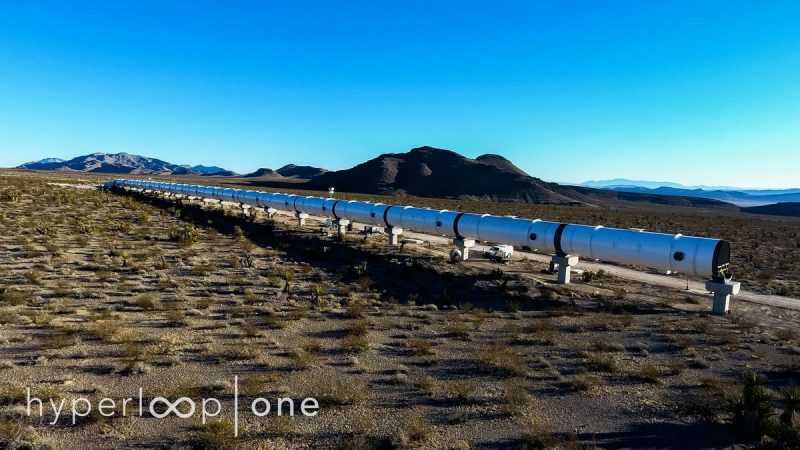 The hyperloop is a completely new and revolutionary mode of transportation, and as a result, there is no existing legal framework which can be applied to it. To further complicate matters, this legislation will also need to be standardised across the many regions and nations which are seeking to adopt the technology in order for it to be truly effective. It seems as if this technology will first find its place in the Baltic region, where not only is there an appetite for the technology, but also the expertise and experience of constructing underwater multinational infrastructure (Oresund), as well as the intellectual capital17 to develop the required hardware and software. Furthermore, if the current pace of development can be maintained, this technology has the capacity to truly revolutionise travel and commerce, whilst making the world less dependent on slow and polluting transportation, with the potential to render much of the container-based shipping industry obsolete. 17 During the talk, Marvin Ammori also suggested that Hyperlopp One may take advantage of the former Nokia campus and employ all former Nokia software engineers thereby creating a ‘silicon valley’ in Finland, utilising local expertise and developing local talent. Funsho Parrott is a RIBA Chartered Architect and serves as Associate in the Built Environment Unit at Polar Research and Policy Initiative. He holds a Master’s degree in Architecture from the University of Nottingham and Chartered diploma from the Royal Institute of British Architects. Whilst at Nottingham, he studied sustainable urban development and density, as well as prototypical methods of construction and bioclimatic design. Key projects from his architectural portfolio include London City Island (13 hectares, £600 million), The English National Ballet (£20 million), and the National Memorial Arboretum (60 hectares, £16 million). His research interests include understanding design as a tool for managing polar resources, dealing with population growth and addressing climate change.